Prof. Malavika kapur is currently teaches in the Department of Clinical Psychology of the National Institute of Mental Health and Neuro Science, Bangalore, In the course of over three decades of clinical, teaching and research experience, she has been a clinical psychologist of the National health Services, Scotland, Senior Research Associate of the University of Edinburgh, and on the Faculty of KMC Hospital, Manipal. Professor Kapur has undertaken various projects on behalf of organizations and offered consultancies to the World health Organization, the National Council of Educational, Research in Training the Indian Council of Medical Research, the Indian Council of Social Science Research and University Grants Commission. She is on the editorial committees of Several Professional Journal. She has been awarded the Scholar in residency at the Study and conference Center in Italy by the Rockefeller Foundation for the preparation of her book “Mental Health in Indian Schools”. She is the author of two books, editor of three books, contribution of 20 chapters to books, and has more than 70 publications to her credit in the national and international journals. Her areas of interest are development psychopathology and school mental health. She has initiated a project on Child Mental Health service delivery in rural areas utilizing available infrastructure in the setting such as primary health care, schools and anganawadis. She also writes fiction for children. Hemalata Mukundan did M.A. in Experimental Psychology from Pune University. She did her Diploma in Medical and Social Psychology from the National Institute of Mental Health). She did her Ph.D. in Clinical Psychology from Bangalore University. Her thesis was entitled “Neruropsychological correlates of Schizophrenia (Unmada)” She worked as an assistant Research Officer in Clinical Psychology in the Ayurvedic Research Unit (CCRAS) at NIMHANS, Bangalore. She is presently the Director of Labyrinth Mind Solutions, Pvt. Ltd. Bangalore. This is an exhaustive and almost complete work performed by the authors. To study ancient Indian Child rearing practices, they have studied Ayurvedic classical texts like Kashyap Samhita and other such texts. 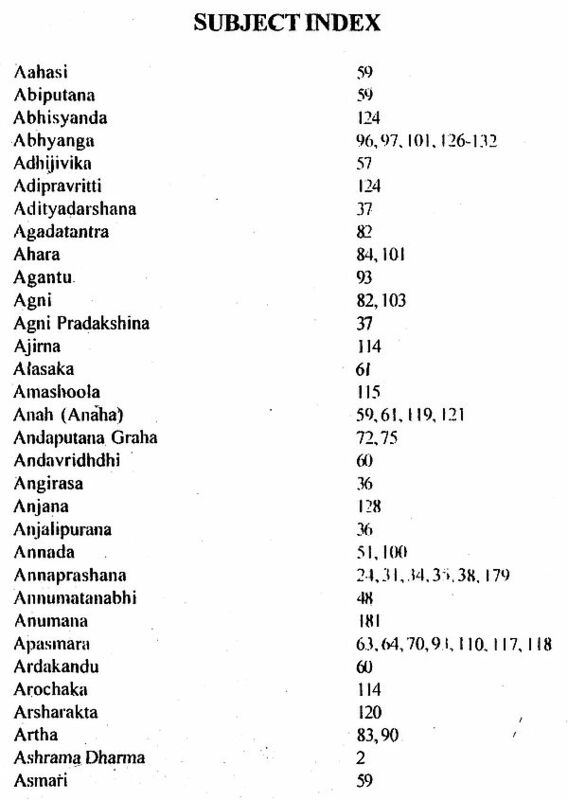 To study these books is quite a difficult job cn1 for a medical person or for an Ayurvedic physician. 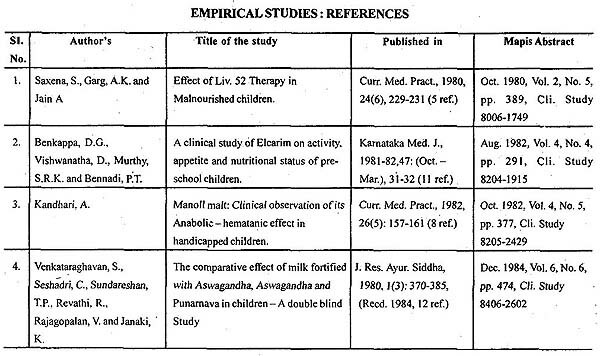 But it seems that these authors have not only studied the original scripts thoroughly but also assimilated them and made themselves capable to comment in the perspectives of developmental psychology and pediatrics. 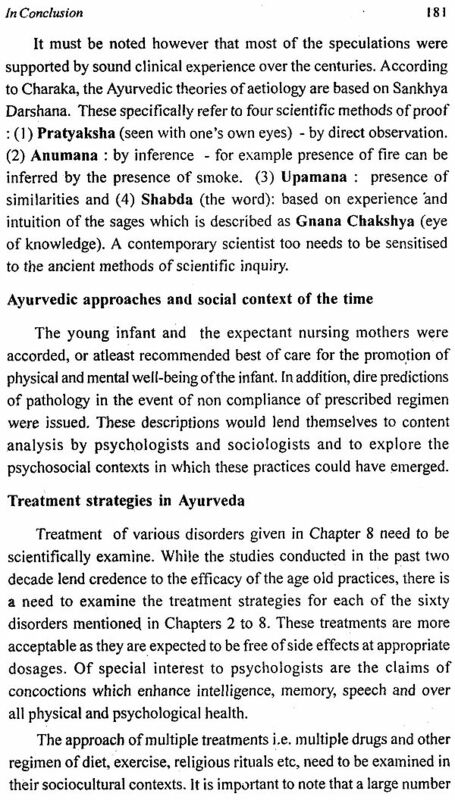 From the second chapter onwards the authors have given description of the main — points regarding care of newborns and children, various rites and rituals, examination of children, disorders of newborn etc. The authors have concluded that child care techniques as described in the Ancient Indian Texts may perhaps be useful in developmental psychology but solid proof to k these conclusions are necessary. They have further identified areas and points for further short-term clinical research, which may prove useful. I as an Ayurvedic physician I can add one more point. The child rearing practices and the childcare techniques have been practiced over Indian subcontinents for thousands of years from generations to generations with minor changes in different regions and culture. 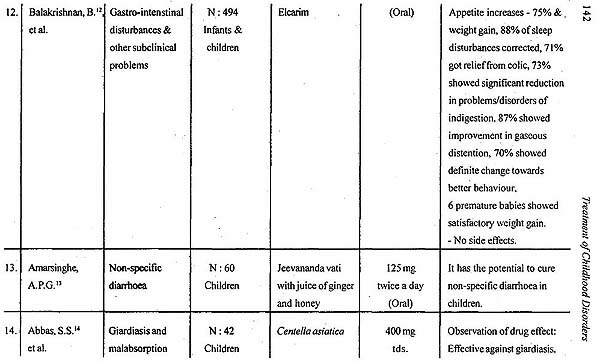 However, no notable adverse or bad effects are observed. This has more importance in the light of behavioral disturbances found in children from the so-called developed countries. The authors are worthy of congratulations and praise for the monumental work they have performed in the form of this book. 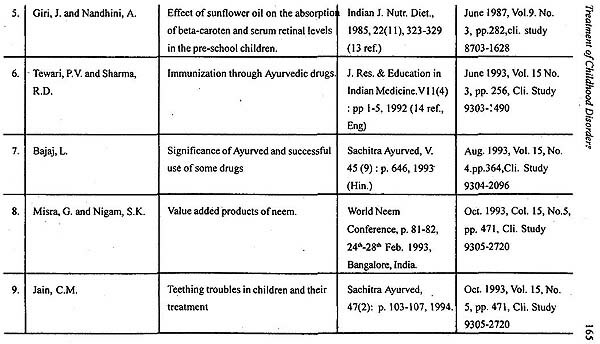 A decade earlier, the first author who is a clinical child psychologist, as a matter of interest tried to gather information on childcare practices in Ayurveda. She found the texts confusing, baffling yet intriguing. Further exploration was no easy task. The translated texts were unclear, ambiguous and repetitive. They could be understood only through multidisciplinary approaches. The present work represents an experiential account of the beginning of the search. It only aims at pointing at sources for further search by those interested. The term “deepika” is used in Ayurvedic texts for brief Sanskrit aphorisms that describe the phenomenology, aetiology and treatment of a syndrome. In a similar manner this hook is a deepika which aims to explore and share the fascinating literature on child care in ancient India and to examine us relevance in the contemporary context. The book is meant for psychologists, sociologists and pediatricians and those interested Ayurvedic scholars or practitioners. Major sources in Ayurveda are the samhitas which are attributed to Charaka Sushruta and Vaghbatas. the elder and the younger. These compilations deal with childhood disorders only very briefly under the title ‘Kaumarabhrtya’. Kashyapa Samhita is the only text that is wholly devoted to child care. The mythical origin of Kaumarabhrtya is attributed to Brahma the creator of the Universe and passed on through his son Prajapathi to Lord Indra. 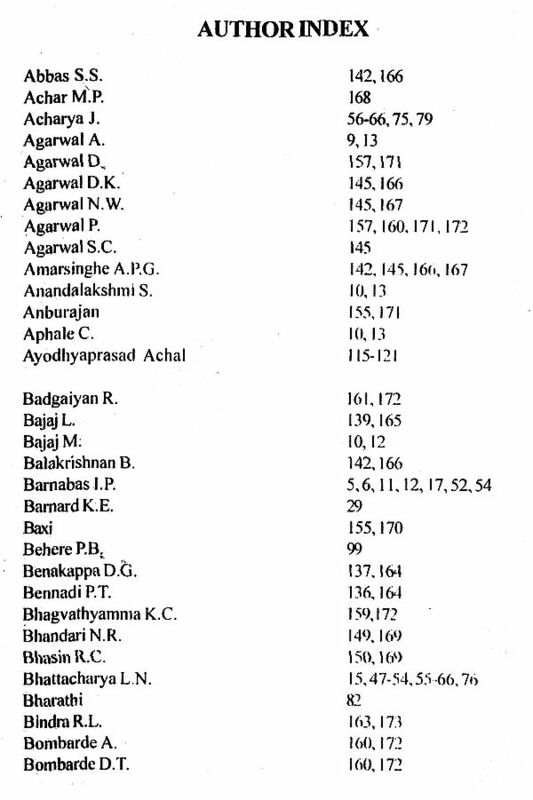 Ashwini Kumars and Dhanavantari and finally on to Sage Kashyapa (at least three physicians named Kashyapa are mentioned in the test). Unfortunately the Kashyapa Samhita available at present is incomplete as several sections have been lost over the centuries. It is rumoured that the original Kashyapa Samhita is in the custody of the Royal Court of Nepal. The authors have relied mostly on secondary sources such as those books by Kamalabai Deshpande (1936: English). Pandit Hemaraj Sharma and Satyapala Bishajacharya (1953 Hindi and English). Lakshmipathi and Subba Rao (1955: English). Bhattacharya (1956: Kannada). Priyavart Sharma (1983: English), Helene Stork (1984 French) and Abhimanyu Kumar (1999: English). The attempts have been made in this book to simplify and systematise the material as the primary as well as secondary sources are often repetitive, overlapping a great deal. Aetiological speculations and treatment methods which appear bizarre, unsound and dangerous have been excluded. Those descriptions and statements which are empirically testable have been highlighted. Special attention is paid to what was considered normative or ideal as well as description of 60 disorders, their phenomenology aetiology and treatment. Attention is drawn to the developmental and the holistic perspective from which these disorders were seen. Finally, a plea is made to conserve and strengthen such practices. which, could improve child rearing in the modern context. The first chapter broadly views the contemporary perspectives iii developmental psychology as well as the nature of traditional child rearing practices in India. There is a need to sensitise lay people and professionals alike to our heritage of child care systems in ancient India and examine their contemporary relevance. In each of the chapters below commentaries are given by the authors after keeping the main texts as authentic as possible. The second and the third chapters deal with the care of the newborns and children. 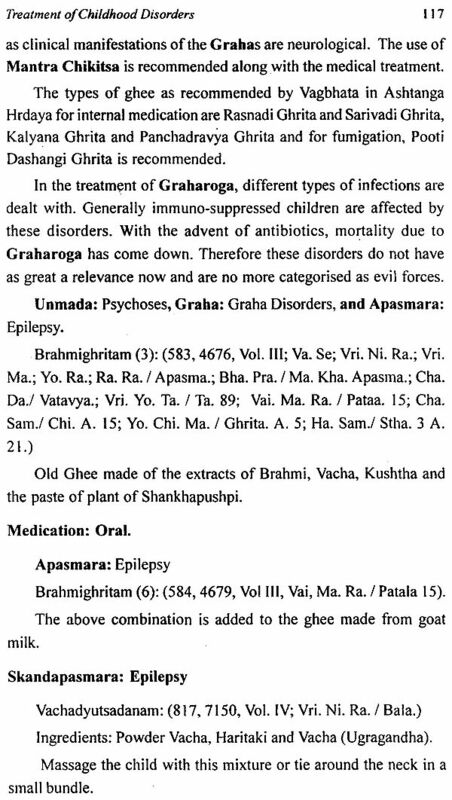 Brief descriptive accounts drawn from the paediatric branch of the 8 branches of Ayurvedic texts are given. The ancient texts in fact view the child care from the lime of conception itself. The nature of symbiotic relatioi1ship between the new born and the nursing mother, general and psychological care of the infant, are dealt in detail. 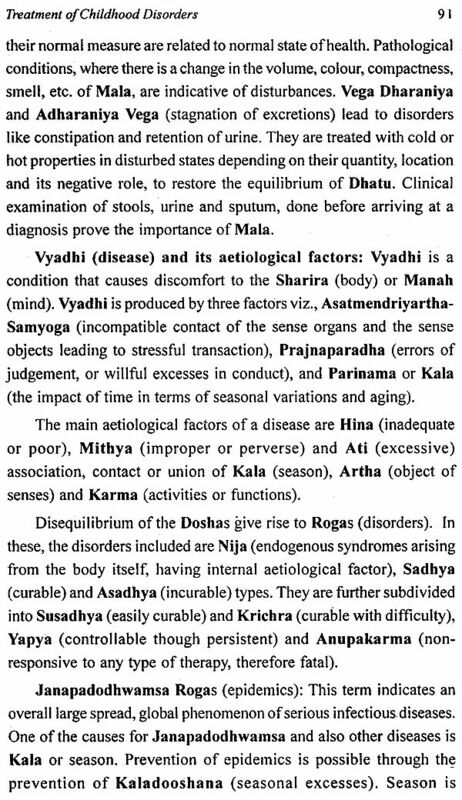 Three ‘Samskaras’ before the birth and seven afterwards are described. The seven ‘Samskaras’ are the rituals related to birth, naming. Taking the infant outdoors, feeding cereals, and piercing the ears tonsure and the thread ceremony. Their implications are discussed from a developmental perspective and from that of contemporary paediatric practices. Disorders of dentition are included in this chapter. The fourth chapter titled General Examination of the Child deals with the examination of normal infants and children. The fine grained observational techniques and documentation by the ancient? Scholars is astounding. Unfortunately the preoccupation of the ancient scholars with future predictions may sometimes come in the way of appreciating the manner in which the infants were studied. The general observations lend support to the belief that features of extreme nature are considered unhealthy. The fifth chapter is Disorders of the Newborn and deals with common conditions in a healthy newborn and describes the ideal conditions for birth free of complications. Six disorders among the newborns are include in this chapter. The sixth chapter is Common Childhood disorders. The section reveals the clinical acumen of the ancient scholars, especially the fact that most diagnoses rested purely on clinical observations as young children were not capable of reporting (heir symptoms. 46 disorders are described and their relevance from modern pediatric perspective are noted. The seventh chapter deals will serious disorders of childhood. 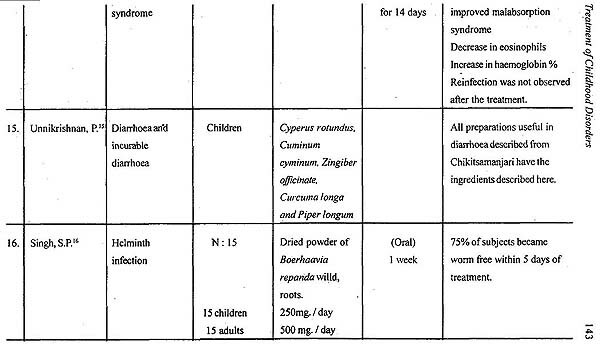 A group of 12 disorders are consi4ered. These were considered serious and often fatal in nature, especially in the ancient times. These were of unknown aetiology and were attributed to Grahas or demonic forces. Epilepsy, meningitis and other serious illnesses were attributed to each of the 12 male or female Grahas. The eighth chapter deals with treatment of childhood disorders. This section of the book touches briefly on some of the basic concepts of ayurveda for the maintenance and promotion of health. 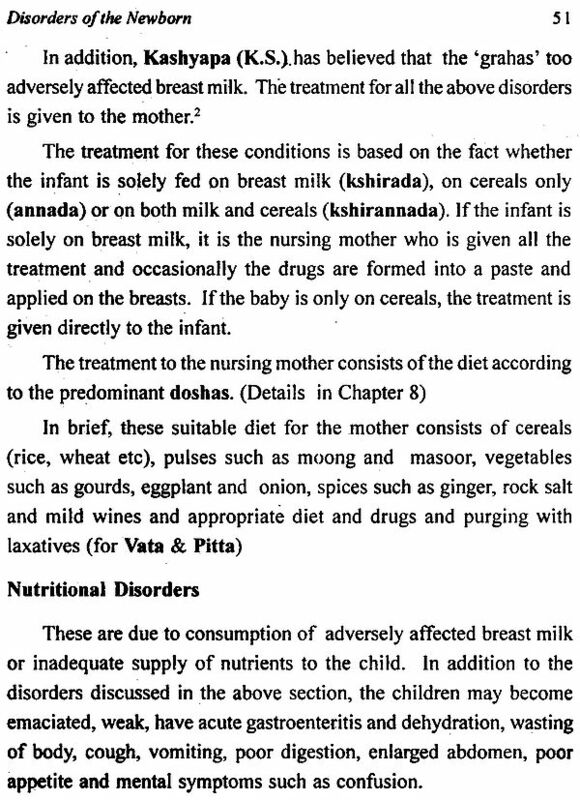 To begin with, infant care deals with the diet of the nursing mother and the general care of an infant. Then some common ayurvedic remedies, such as herbs, drugs or other ingredients which are easily available in the immediate surroundings and which can be used as home remedies by parents are described. Those which are commercially available in pharmaceutical outlets are mentioned by name for usage and storage at home. 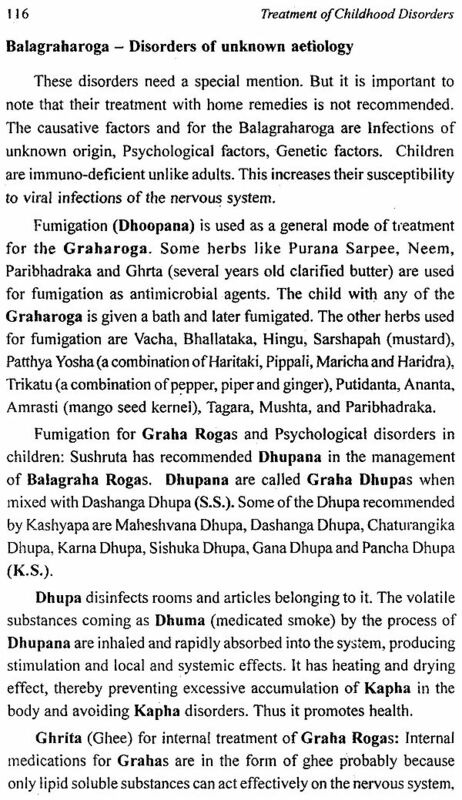 This chapter also deals with the preparation of medicines, botanical names of the herbs mentioned in Sanskrit in the therapeutic formulae, qualities of these herbs and their general usage. The ninth and the concluding chapter includes authors’ commentaries on the psychological, sociological and paediatric perspectives on the subjects dealt with in chapters two to seven. 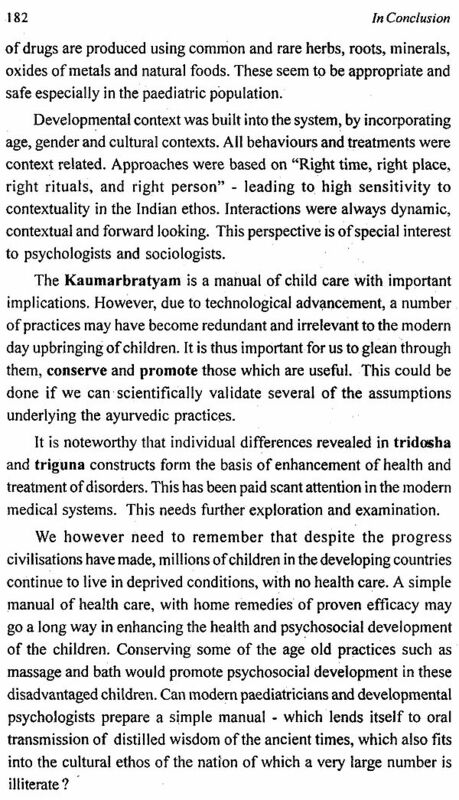 The chapter also highlights child care practices which need to be empirically examined, conserved and promoted because of their contemporary relevance in the new millennium of the practices evolved 3000 years ago. Problem Child: How To Care For Him?